Proton coupled electron transfer (PCET) plays a fundamental role in the mechanism of water-splitting at the oxygen-evolving complex (OEC) of photosystem II (PSII). We address the underlying reaction mechanism by structural studies of catalytic intermediates. Many physical techniques have provided important insights into the OEC structure and function, including X-ray diffraction (XRD) and extended X-ray absorption fine structure (EXAFS) spectroscopy as well as mass spectrometry (MS), electron paramagnetic resonance (EPR) spectroscopy, and Fourier transform infrared spectroscopy applied in conjunction with mutagenesis studies. However, experimental studies have yet to yield consensus as to the exact configuration of the catalytic metal cluster and its ligation scheme. Computational modeling studies, including density functional (DFT) theory combined with quantum mechanics/molecular mechanics (QM/MM) hybrid methods for explicitly including the influence of the surrounding protein, have proposed chemically satisfactory models of the fully ligated OEC within PSII that are maximally consistent with experimental results. The inorganic core of these models is similar to the crystallographic model upon which they were based, but comprises important modifications due to structural refinement, hydration, and proteinaceous ligation which improve agreement with a wide range of experimental data. The computational models are useful for rationalizing spectroscopic and crystallographic results and for building a complete structure-based mechanism of water-splitting assisted by PCET as described by the intermediate oxidation states of oxomanganese complexes. This talk summarizes recent advances on studies of the OEC of PSII and biomimetic oxomanganese complexes for artificial photosynthesis. Victor S. Batista received his PhD degree in Chemistry from Boston University in 1996. 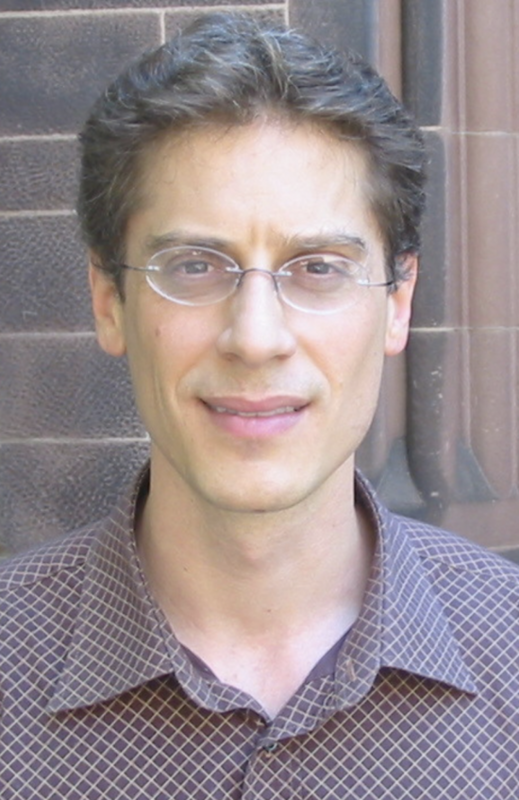 He joined the Yale faculty as an Assistant Professor of Chemistry in 2001, where he became Associate Professor of Chemistry in 2005 and is now Professor of Chemistry since 2008. He has received the Innovation Award from Research Corporation (2002), the Hellman Family Junior Faculty Award from Yale University (2002); the Petroleum Research Funds Award G6 from the American Chemical Society (2002); the Career Award from the National Science Foundation (NSF) (2004); the Nanoscale Exploratory Research Award from NSF (2004); the Camille Dreyfus Teacher-Scholar Award (2005); an Alfred P. the Sloan Fellowship (2005–2006); co-chairmanship of the 2016 Vibrational Spectroscopy Gordon Conference; the 2016 Baker Lectureship at Cornell University; and the 2018 Harrison-MacRae Lectureship at Queen’s University. He is a Visiting Scholar of Phi Beta Kappa for 2017-2018 . He is a member of the American Chemical Society (ACS PHYS Councillor 2018-Present), American Physical Society, and Biophysical Society. His research interests include the development and application of semiclassical and quantum dynamics methods for studies of excited state reaction dynamics and relaxation phenomena in polyatomic systems and semiconductor materials for solar-to- electric energy conversion and photocatalysis, as well as the development of quantum mechanics/molecular mechanics computational methods to study ligand binding interactions and reactivity in biomolecules, with emphasis on photoreceptors and water- splitting in photosystem II.